Piano finish laminate flooring is the ultimate way to add a glow to your home. When deciding what kind of floor will be perfect for your home, you may no longer want that typical old wood look. Thanks to the newest technology, your selection of laminate styles has expanded to the newest generation laminate flooring featuring a super shiny piano finish. These revolutionary floors have a revolutionary crisp decor layer to get the clearest detail and truest colors. 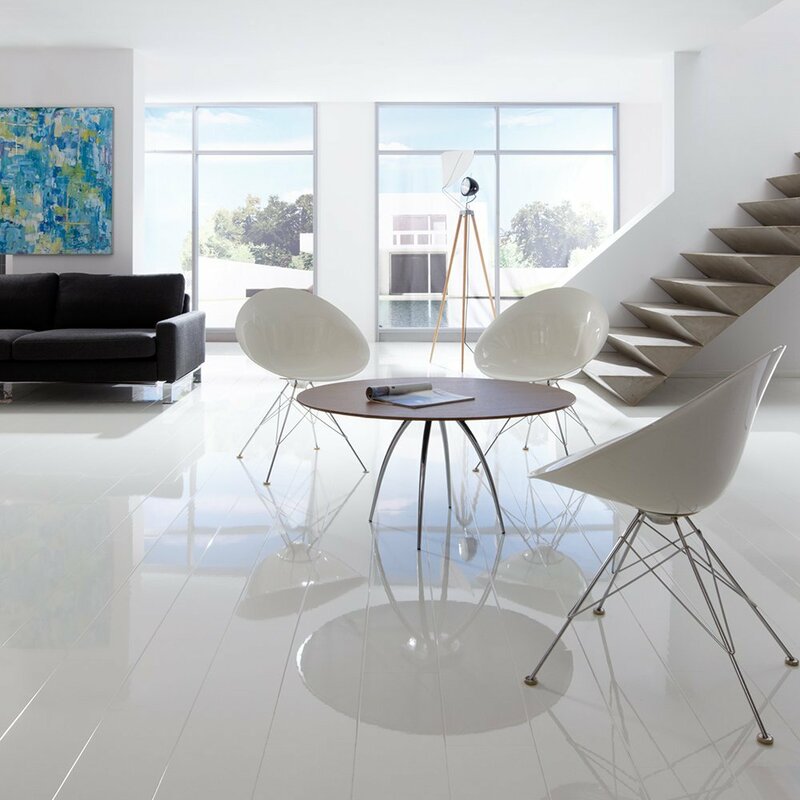 You can decide you want to go with a very modern flooring. Choose a color flooring that you can style no matter what theme you are feeling! This is one of the reasons why this flooring style has become so popular. When To Use Piano Finish Laminate Flooring? If your space is small and dark, piano finish laminate may be the best option for your project. The glow reflects nearly all light and makes any space feel bright and fresh. In a large space, the gleam of the gloss gives a rich and luxurious feel. You can also use this flooring to make a statement in your home! If you don’t like the idea of focal walls, how about a focal floor? Use this flooring to make a statement you can be happy with for many years down the road. Order a free sample today and see the glow yourself. It is truly astonishing and hard to believe that a glow so natural and beautiful can be so affordable. What is Laminate Flooring Texture? What does knife finish laminate flooring mean? Lovely looking range. Can we possibly have some information on supplying this in the UK. We currently supply a range of flooring like Karndean, Amtico and Quick-Step. Hi Will, we’d recommend reaching out to Elesgo directly. They are based in Germany and supply most of our high-gloss looks. Where is Diamond Living laminate manufactured? Sara, all Piano finish floors including Diamond Living and Armstrong Grand Illusions by Armstrong are made in China. I had this flooring installed a couple of weeks ago, and so far it is great. It looks beautiful and seems to be very durable. I had installed it in my home before i was finished with the remodel, and it has withstood some very rough carpenters(me included) and i cant find a single flaw in it. It seems to be a great product and would surely recommend it. Wondering how DL likes the Santa Fe Oak Home Legend now that is installed. We want to get the same thing, but have read some negative reviews that are scaring us away. Another option for you will be Armstrong Grand Illusions – check all colors available at http://www.bestlaminate.net. You can order free samples online. Anyone used the Diamond Living laminate? Found a pretty good deal on it but cannot find any reviews. I just ordered and received the Home Legends Brand Laminate Flooring, Santa Fe Oak color, with Piano Finish, through Home Depot. It’s absolutely STUNNING and BEAUTIFUL!!! I LOVE IT!!!! Quick-Step also has a piano finish collection called Allustra. You can see this collection online at http://us.quick-step.com/?dir=products&page=viewSeries&series=25.